Second to last issue for 2009, and I’ve got some real treats in store for you all..! So let’s get into it – starting with a recap of what has been a VERY busy month at SBG...! Every review now finishes with the same format, a combination of a basic 5 star rating system and a ‘pros and cons’ summary. To reflect new additions on the market, some swords had their ratings downgraded slightly, while others that had been improved or tweaked were upgraded – but essentially any changes to their overall score are relatively minor, and I think that it helps to have a kind of comparative reference score that is based on the swords overall quality and it’s value for money ratio (all ratings are of course going to be a bit objective, but I’ve done my best to ensure that it is a good a summary of the swords overall quality and value as possible). Another addition is a brief summary of my personal picks for each section, which will of course be updated as new products enter the market. To be completely honest, I am totally over the overhaul now and rearing to add some more reviews and content that have backed up the last few months, but with only a couple more major pages to go, it should not be long until you start seeing some new reviews and content. Plus, I have several new community based sections that I plan to be adding – two of which are basically just for fun (as you guys know, I have a pretty warped sense of humour, so stay tuned for some light hearted sections coming to a page near you!). Of course, all of this messing around with SBG has meant that the momentum for the sister site has slowed down to a crawl, but as soon as we get back to speed with SBG it will be a high priority for 2010 to see it developed to it’s full potential. (If I had to say how far from ‘complete’ the sites were, I would have to say that SBG is around 50% complete, and SMG 10%, just to give you an idea of how many more ideas and projects I have in mind for the two sites!). DARKSWORD ARMORY – PRODUCT UPGRADES! But since this time, Eyal and the boys have proved themselves to be extremely responsive to feedback both from myself and from the sword community as a whole. People wanted a historically accurate and durable peened pommel, and for the last 8 months or so, the majority of their line have been peened. Others wanted a lighter range of swords, and a sharpening option, and they came through on those two things as well. But the most recent upgrades have taken it to another level yet again – first off, some of the old handle wraps that I didn’t like – such on the Oslo Viking sword – have been replaced by a hard wearing and durable, straightforward leather wrap over cord. Secondly, the blades themselves now have a much higher level of polish. And thirdly, the scabbards – the most oft complained and noted issue with DSA have been redesigned, and are much thinner, better fitting and with a more attractive chape. But a select number of their swords now also have a super attractive custom suspenion belt upgrade for $70 option that puts the swords in a whole new league again. Gotta love what these guys have been doing, but trust me, you haven’t seen anything yet! 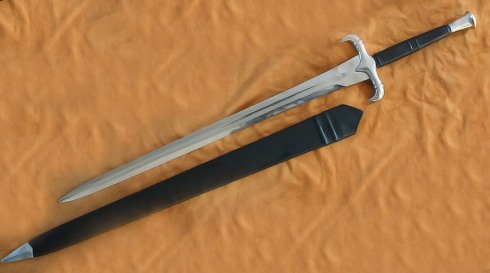 NOTE: despite all of these improvements, I have actually LOWERED my prices on quite a few DSA models here at the SBG Sword Store, further increasing the kind of value for money you get from this line, as well as adding a few new models with many more yet to come..! Plus of course we still offer free shipping to the USA and Canada! Click to have another look at our selected range of DSA swords and new (lower) prices..! IT’S TIME TO OPEN UP FOR NEW ORDERS AGAIN! So if you have been waiting around for the opportunity to design your own T10 differentially hardened custom Katana for just $330 shipped – now is definitely time to get your order in. 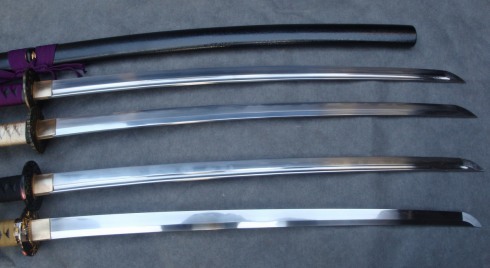 Click here to design your own SBG Custom Katana! 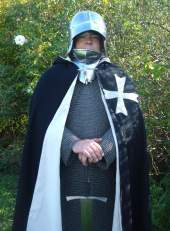 The first site was Phil Elmore’s the Martialist - because it showed that it was not necessary to be a martial arts master or sword expert to be able to review a sword or blade in a meaningful, practical (and often lighthearted and conversational) way. 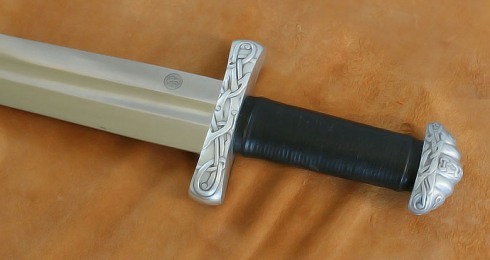 What would Uhtred Uhtredson’s sword look like? Is getting a good tsuka core a matter of luck? 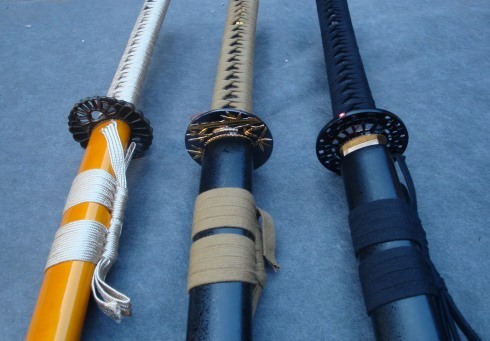 4 swords from well known and respected brands. 2 cracked tsuka... Why it happens and what it means (pics are big and take a while to load, but are resized once loaded). What are the signs of good smithing? 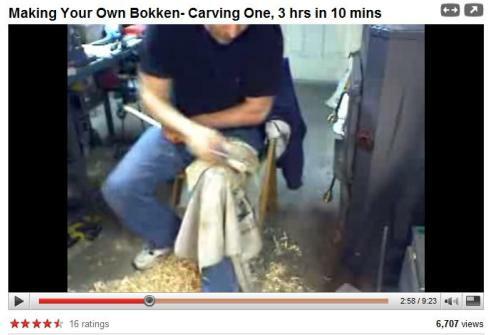 Some of SBG’s best sword makers spill the beans on what to look for in a good custom sword. Cutting tips and advice from the forums best slicers and dicers (long and VERY helpful and informative thread)..
Every Japanese sword enthusiast should have at least one decent bokken (wooden practice sword). But best of all, there are actually a series of step by step instructional vids on his youtube page here for everyone looking for a little more detail..
And nothing hits the spot better than – BARBARIAN! 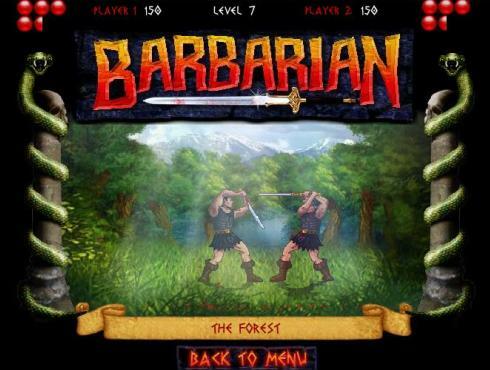 Now this is probably showing my age, because Barbarian is an updated, flash remake of the old Commodore 64 game by the same name – a game I used to play for hours, and hours on end..
Only one more issue to go before the new year, so hope you guys and girls are starting to get all your Christmas shopping done..! (well, I am sure that the girls are – let’s be honest, most of us guys leave it to the last minute! ).